Full time RVers under age 65 (pre-Medicare) who have to purchase their own health insurance, really need a PPO health plan with a nationwide network of doctors, hospitals, clinics, etc. Also, just because a health plan is called a PPO doesn’t mean the plan has a national provider network. Make sure your PPO plan has a national provider network. Typically this means a Blue Cross Blue Shield (BCBS) health plan. In fact a national provider network is probably more important that the plan type (PPO). For example, currently BCBS offers EPO plans in Florida that provide a national provider network. Always look at the plan details! Affordable Care Act (ACA or “Obamacare”) — these are called “on-exchange” health plans, and you are eligible for a subsidy in you purchase on plan here (www.healthcare.gov). You can also check out ACA plans here (www.healthsherpa.com). Off Exchange — these private health plans are typically offered by health insurance companies, but you will not qualify for a subsidy if you buy an off-exchange health plan. See finder.healthcare.gov. Healthshare Ministries — health “sharing” plans offered by religious organizations. These plans are not health insurance, and usually have limitations on pre-existing conditions. These plans will be changed on January 1, 2017. Remember, not all PPO plans offer nationwide networks. What do CalFire (California Department of Forestry and Fire Protection) and KPOP (Korean Pop music) have in common? It’s just that both are on my radar now. These are the folks who put out all those CA fires. We’ve only been in CA two summers, but there are a lot of fires — big ones — out here. In the Midwest where we grew up, it was tornadoes. Out West, it’s fires. The latest is the Owens River Fire just north of us in Mammoth Lakes. A few days ago it was a 500-acre fire, now it’s 5400 acres. We typically don’t learn about local fires from the news, but from our nose — we smell smoke. Last summer the smoke was as thick as fog from one fire. So far this year, not so bad. This photo is of several CalFire vehicles in the parking lot of a Bishop hotel and restaurant. Black Pink is the name of a KPOP group I’ve been following since 2012. They just debuted and they’re killing it. 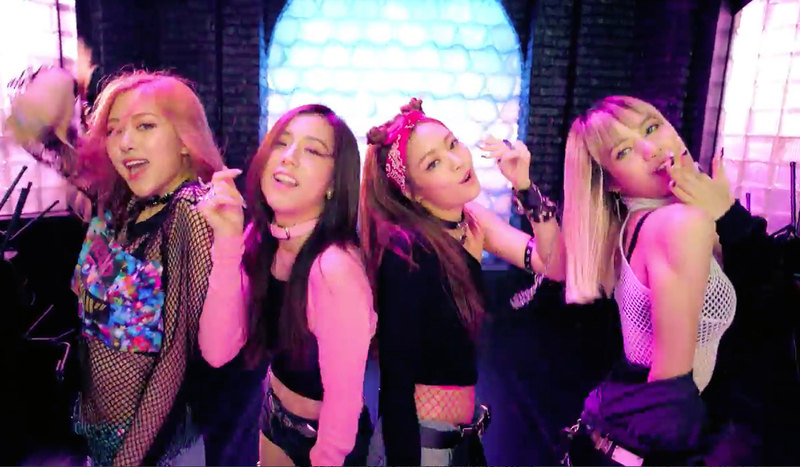 They released two music videos — Boombayah and Whistle — both of which have multi-million YouTube views.